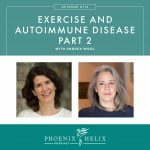 If you have symptoms without a diagnosis, or symptoms that remain in spite of all the interventions you’ve tried, this episode is for you. DNRS stands for the Dynamic Neural Retraining System, and it's a therapy based on neuroplasticity. This simply means that our brains change and adapt to life experiences, sometimes in positive ways, but other times in negative ones. With chronic illness, symptoms can actually become wired into our brains, even when the triggers for those symptoms are removed. DNRS is a therapy done at home, that rewires the brain (and body) for health. What types of conditions have been helped? Fibromyalgia, chronic fatigue syndrome, chronic Lyme disease, multiple chemical sensitivity, irritable bowel syndrome, mold toxicity, chronic inflammatory response syndrome, mast cell activation, food sensitivities, chronic pain, mental health issues, and more. What’s common about many of these conditions is that they are often called “mysterious illnesses”, meaning there’s no clear cause or effective treatment. In fact, many people have multiple diagnoses on this list, yet their symptoms remain. 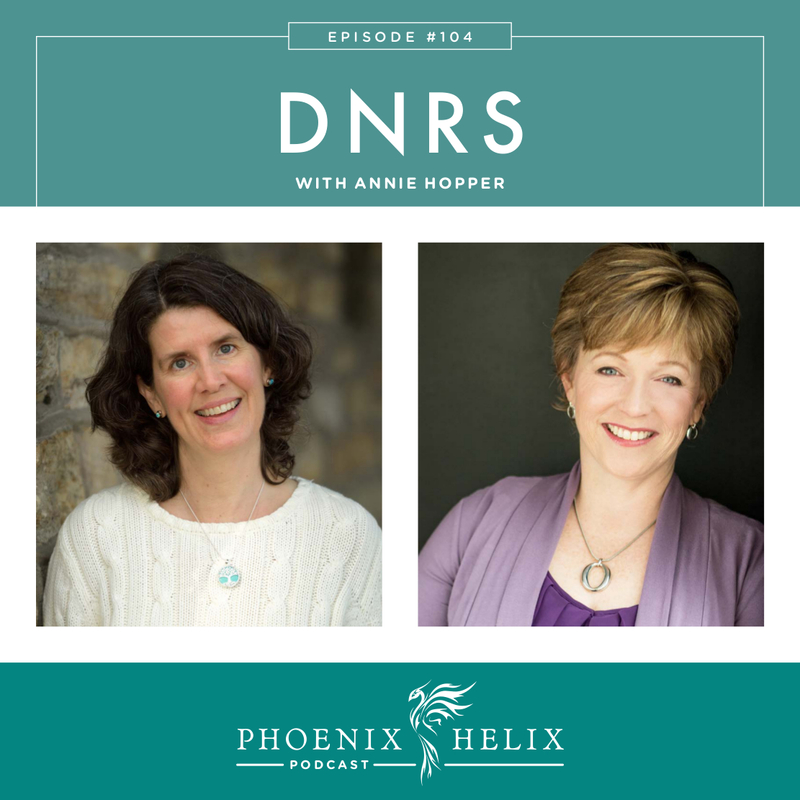 In this podcast, I speak with Annie Hopper, the creator of DNRS. She explains what this program is and how it works. In addition to healthy frozen meals, they also sell a line of desserts for your next special occasion: AIP baking is tricky, and the chefs at Paleo on the Go have perfected some wonderful recipes: Strawberry Vanilla Cake, Carob Delight Slim Mint Cookies, Carob Chunk Cookies, and 2 Paleo “Pop-Tarts”: Apple Cinnamon & Strawberry. You can find all of these on their AIP menu. While we don't want to eat too many sweets on the AIP, we don't need to deprive ourselves completely. Everyone deserves a treat once in a while. Annie was living a healthy, happy, productive live. She had a successful career, a wonderful relationship, and was engaged in her community. Then, after being exposed to a series of intense body stressors (a car accident, mold exposure, and chemical exposure), she started to develop symptoms: insomnia, joint pain, chemical sensitivity, fibromyalgia, and eventually electric hypersensitivity. At her worst, if she walked down the street and someone in a neighboring house was doing laundry, the dryer exhaust could send her into convulsions. She began wearing a mask anytime she left home, which interfered with both her work and social life. Eventually, her home stopped being a safe space, because her body started to react to electricity as if it was life-threatening. For a while, she was forced to be homeless, not because of finances but due to her extreme sensitivities. DNRS was born out of her own research and experiments to heal, when doctors were unable to help her. Now, 10 years later, she has no symptoms. She travels around the world and speaks at conferences. While she chooses to keep her home as scent-free and chemical-free as possible, she's no longer traumatized by exposures that happen simply by being in the world. She's also no longer hypersensitive to electricity and can enjoy her home again. Neuroplasticity simply means that the brain is capable of change. This is a good thing – it allows us to learn and adapt. 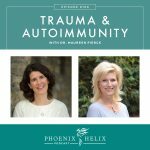 But the brain also changes with trauma, and trauma comes in many different forms: psychological, emotional, physical, chemical, viral, etc. The Limbic System contains a number of structures in the mid-brain that work together to assess threat vs. safety. It filters all the sensory and emotional information we receive and lets our body know when there's danger. When this system isn't functioning properly, it can keep the body in a chronic alarm state, reacting to smaller and smaller triggers as if they are life-threatening. DNRS is based on the theory that this is at the root of many mysterious illnesses. 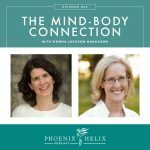 The DNRS techniques are designed to correct this dysfunction, allowing the brain to return to a state of rest, where healing can then take place bodywide. 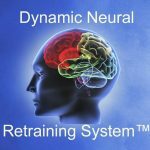 DNRS stands for the Dynamic Neural Retraining System. It's a drug-free approach to alleviating the symptoms of chronic illness by rewiring the neural circuits of the limbic system. It's a self-directed therapy designed to be done at home. You can learn it two ways: through an in-person class, or a DVD series. Pillar 1: Understanding that this is a brain impairment, that the brain is involved with your illness. Brain fog is a very common symptom with “mysterious illness.” But even when that's not present, the brain interacts with the entire body, and brain dysfunction can cause symptoms bodywide. Pillar 2: Bringing awareness to pathways of the past (POPS) – psychological, emotional and behavioral patterns that might actually be expressions of the brain impairment. Learning to consciously identify these when they arise and use the DNRS techniques to redirect the brain to healthier patterns. Pillar 3: A set of daily exercises that include movement, speech, visualization and neural shaping, which work together to structurally and chemically change the brain. Pillar 4: Elevating your emotional state in a positive direction throughout the day. The goal is to counteract the negative bias and chronic threat response of the dysfunctional limbic system. Pillar 5: Practice. The exercises are practiced for 1 hour daily, along with ongoing application of the techniques throughout the day. It's not an overnight fix, because it takes time to rewire the brain. The DNRS program is meant to be practiced for a minimum of 6 months. You can learn at home through a 14-hour DVD series. The recommendation is to watch them within 4 days if possible, but you can pace yourself based on health and energy levels. The in-person classes are held in locations throughout North America and Europe. They're 5 days, with a maximum class size of 30 students. There is also a private community forum as well as 1:1 coaching available. No. They do include some movement, but they can even be adapted for people who are bedridden. In that case, you visualize the movements from bed until you've improved enough to start doing the movements physically. And they are not strenuous movements. That's why I love Luminance. 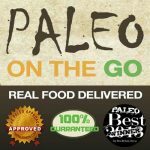 Their products are natural, organic, wildcrafted, non-GMO, and gluten-free. 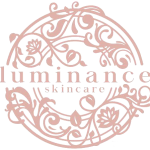 Whereas conventional skincare products are full of chemicals that can potentially harm our bodies, Luminance is made from ingredients that nourish. They also sell TSA traveler kits, with 1-ounce bottles of their face care collection in three versions: youthful, mature, and acne. When the brain is stuck in a chronic fight or flight response, it shuts down everything it doesn't see as vital. This is helpful in a short-term situation (being chased by a tiger), but harmful if it continues long-term. That's because many of the body's processes are controlled by the parasympathetic nervous system (the rest and digest system). That's where digestion, healing, detoxification, repair, immune balancing, etc. all take place. When the body is in a chronic alarm state, all of those processes can become impaired. Also, the vagus nerve is a primary nerve of the parasympathetic nervous system which controls organ function. It receives direct communication from the brain regarding threat vs. safety and will suppress “non-vital” organ function during “threats”. Lastly, hormones are also thrown out of balance as stress hormones are over-produced. DNRS is designed to turn off this chronic fight or flight response, and when that happens, all of these systems are no longer suppressed and can start working optimally again. The body moves out of a state of survival and into a state of growth and repair, where healing can take place. Because it takes time to rewire the brain for health, the DNRS program is designed to be done daily for a minimum of 6 months. However, some people do start to see improvements more quickly. As long as you are continuing to improve, DNRS can be continued longer than 6 months. If your symptoms disappear altogether, you don't need to continue DNRS to maintain those improvements. The rewiring of the brain is permanent. Like any treatment, results vary. Some people see mild improvements, some see major improvements, and some become completely symptom-free. With neuroplasticity, healing isn't linear, so it's common to have symptoms go up and down before improvements become permanent. For Annie, she started to see improvements within the first few weeks. Her sense of smell started to normalize first, decreasing her sensitivity. She did experience symptoms increasing and decreasing before they disappeared altogether. She is now symptom-free and no longer does the DNRS exercises. However, it's a tool in her toolbox, so if symptoms ever begin to return, she knows how to reverse them. McMaster University followed 100 participants with chronic illness who implemented the DNRS techniques for 1 year, and they tracked symptom improvements. Those study results should be publishing soon. The University of Calgary has a study currently ongoing with 100 participants with chronic fatigue, fibromyalgia, or chemical sensitivity. They are doing functional imaging to track brain changes in response to the DNRS techniques. Subscribe to the DNRS newsletter to be notified when the research results have been published. Visit the DNRS website to purchase the DVD series, register for the in-person seminars, or follow their blog.